Yes I did use two song titles as the subject of my blog but, unlike Jessie J, I didn’t forget about the price tag and I am really happy with how my tags have come out in the end. With fewer than 10 days remaining until the exhibition starts its four day run I thought I would add a countdown to my blog (more as a fear creator for me than anything!). I would love to hear if you are coming and when, and if not why not?! If only! Thats a shame you will be missed, if you do want to order and of my photographs do just let me know though, one way of you being there without having to take the annoyingly long and expensive flight! oh and i L.O.V.E your logo! I want to see your amazing work exhibited too! Very exciting – I love your logo, too. Those tags look great, and I wish you luck with your exhibition! 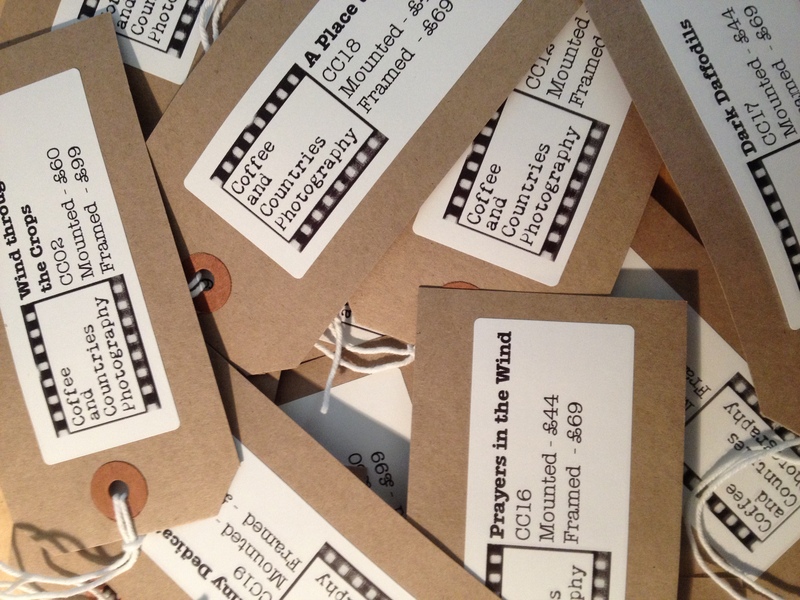 The tags look fantastic and I can’t wait to see them in person at the exhibition. See you in 8 days! Very much looking forward to it kind stranger.